Hi everyone! If you haven't noticed I finally changed the layout on my blog and updated a few things (even though I lost a few followers). Which is kinda why I haven't posted in a while, I've been a busy girl! 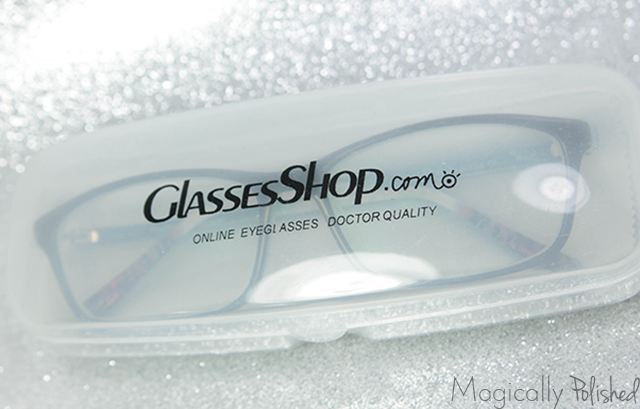 So today I have a review for you guys, from Glassesshop.com optical online store. I can honestly say I was a bit hesitate about the frames, since I normally buy my frames in my optometrist office. 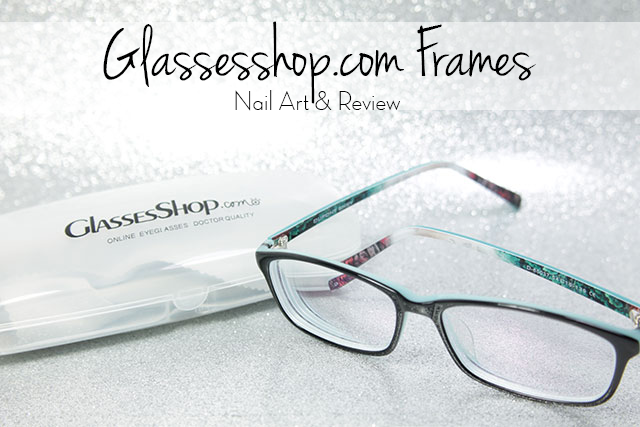 However I was in a serious need of new glasses, I took the chances to review and test out Glassesshop.com frames.Of-course I couldn't leave out the nail art to match my new frames! As a young girl, I've had to wear glasses for distance and while I don't enjoy wearing them, I am more comfortable wearing them when they are super cute. This new pair I received for review, definitely fits that bill. 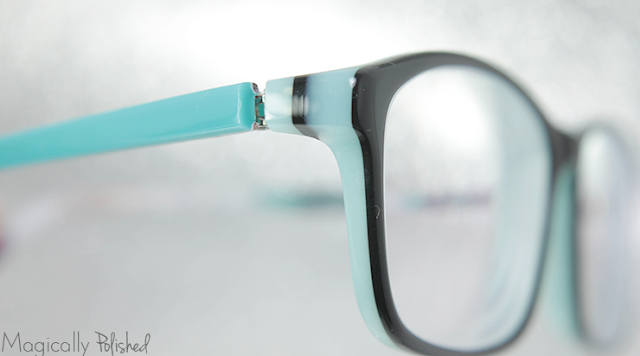 The pair I chose are the Dorada Rectangle (Black/Cyan) prescription glasses. Which is not the normal type of frames I like to choose. 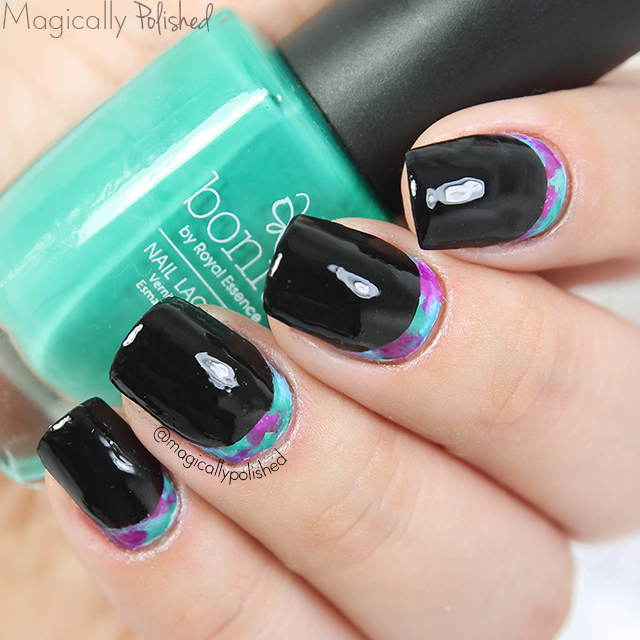 Of-course I had to create a nail art design to match my new frames...this is of-course a nail art blog! 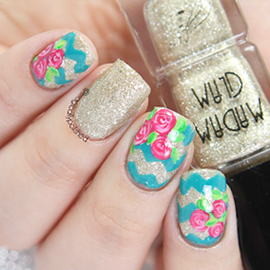 ;D For this look, I applied one coat of OPI Alpine Snow. Once the base was completely dried, I then added a few of Bonita Salon shades (Cocktail in Aruba, Santorini's Ocean, Bora Bora Coast and Ibiza Nightlife). 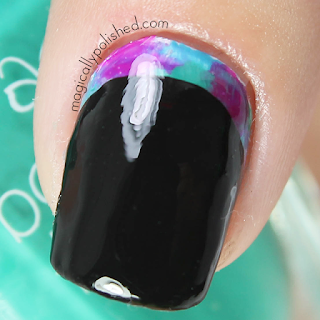 I then applied Cirque Colors Memento Mori, only half way through the nails. Lastly I applied a coat of top coat. 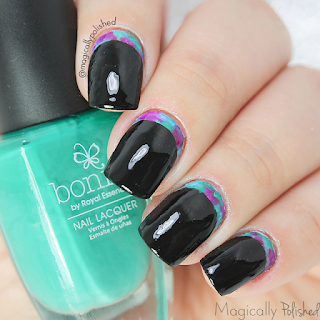 That way the design is shown. Overall I absolutely love how these came out and how well it matches the frames. Now there are both optical and sunglasses available at the same time, when you get your first pair for free (more here). You can also use this coupon code GSHOT50 and get 50% off on eyeglasses and sunglasses with free lenses!